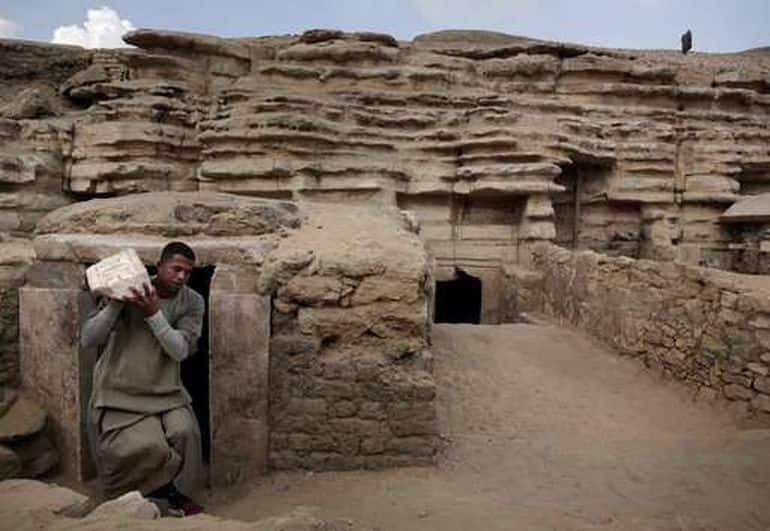 According to an Egyptian antiquities official, archaeologists have uncovered remnants of seven ancient tombs in proximity to the pyramid complex in Saqqara, near modern Cairo. 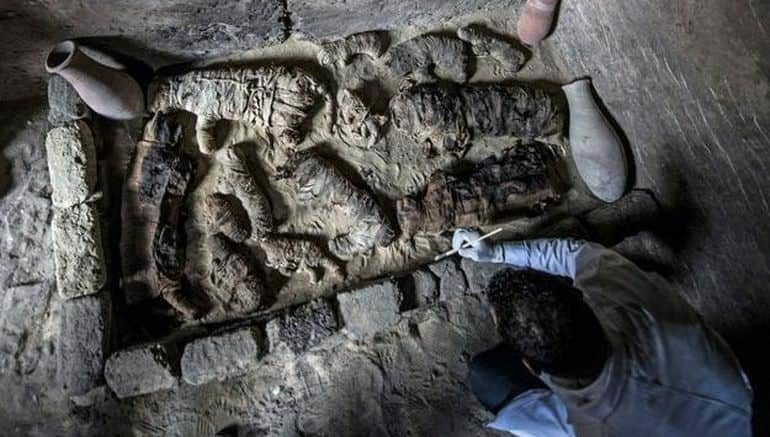 Dating from the Pharaonic Age, the exact chronological data relating to these sarcophagi is unclear at the moment (although estimates suggest that they probably hark back to an era before circa 3200 BC). 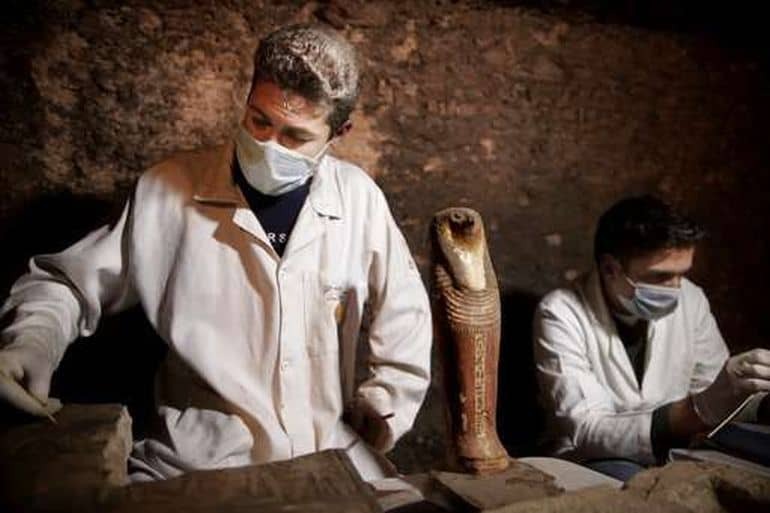 However, it is the ‘content’ of the tombs that might tickle the curiosity of many a history aficionado. 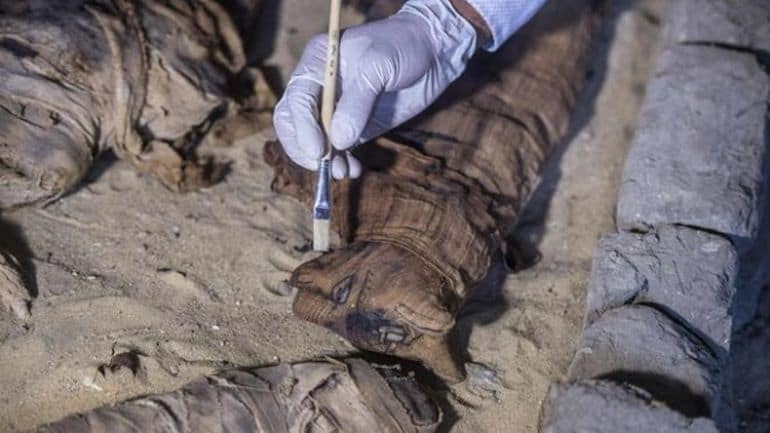 To that end, researchers have identified mummified remains of both cats and beetles (scarabs) along with wooden statues of other animals and birds, including a lion, a cow, and a falcon. 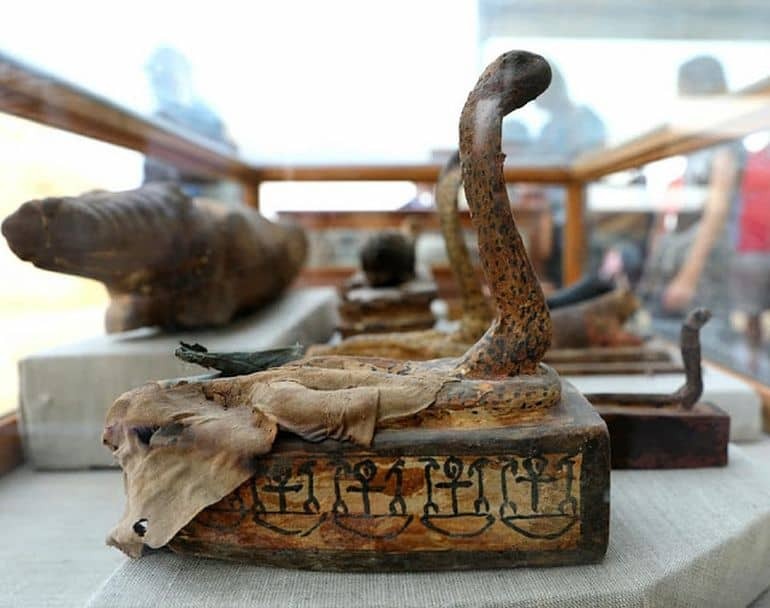 There was a symbolic side to the whole affair of Khepri worship – with the entity epitomizing the forces that moved the sun across the vast expanse of the sky. 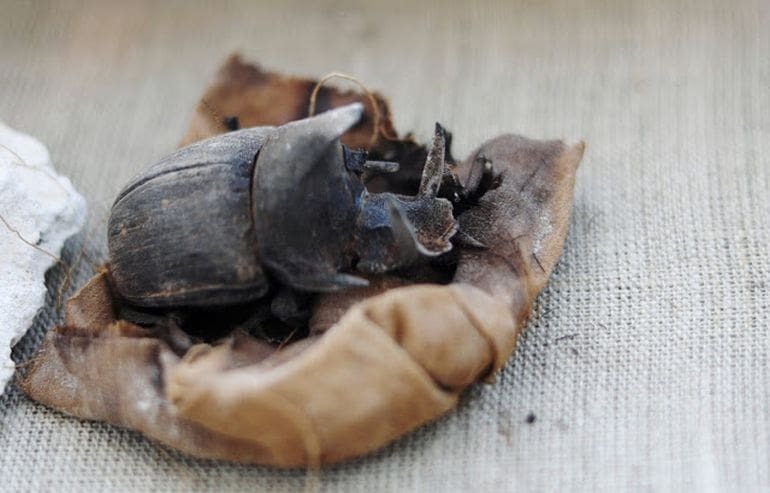 This connection was derived from the action of scarab beetles when they rolled balls of dung across the rigorous desert surface – while the young beetles emerged from inside the dung, from the eggs laid by the parent. This is in fact related to the Egyptian word ‘kheper‘, which roughly translates to – to change, or to create. In any case, Khepri was also considered as being subordinate to the more exalted sun god Ra, which on occasions also translated to Khepri being one of the aspects of Ra. For example, Khepri was perceived as the personification of the morning sun, while Ra was seen as the more effulgent midday sun. 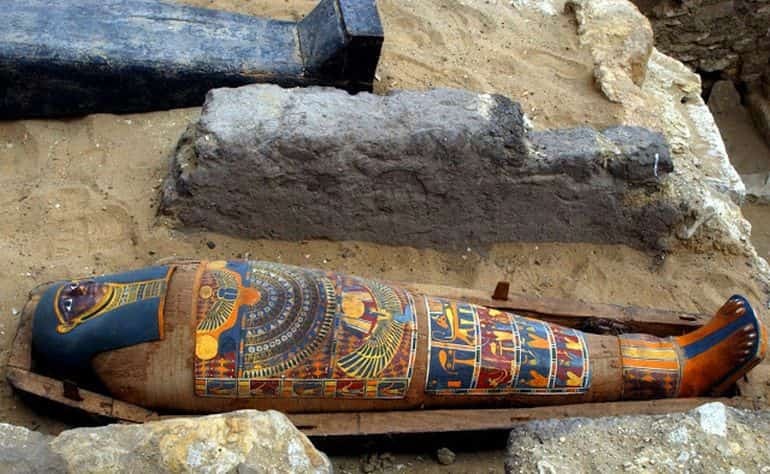 The people also regarded Khepri as one of the Egyptian gods of rebirth, possibly since the Egyptians believed that beetles appeared out of nowhere and yet were able to procreate. 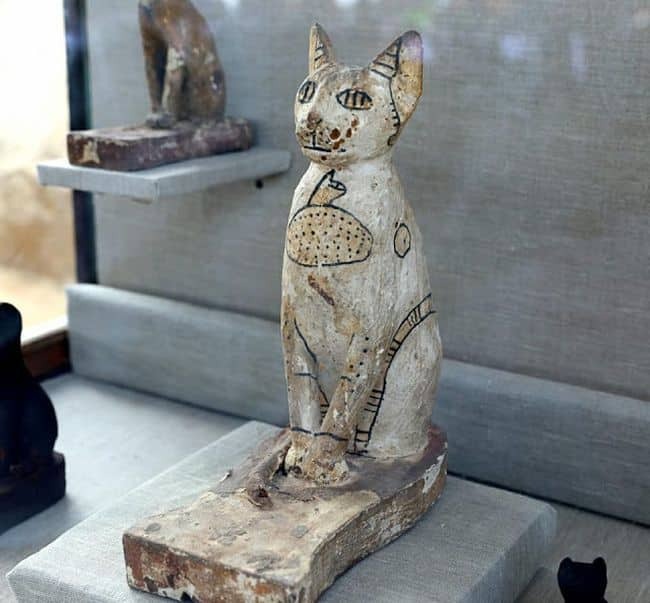 A goddess of the home, love, fertility, joy, dance, women and secrets, Bastet with her cat-like head and woman’s body was considered as a benevolent deity. 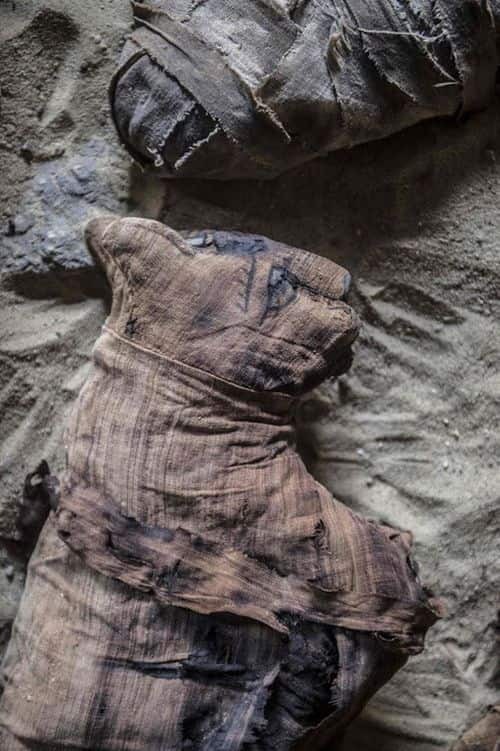 Reverting to the fascinating discovery in question here, three out of the seven tombs were found to have cat mummies (along with gilded statues of feline entities). 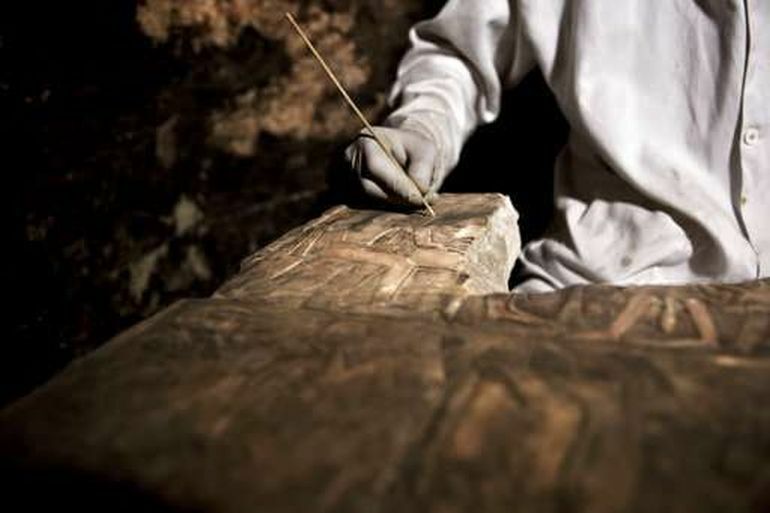 And one of the other four sarcophagi belonged to Khufu-Imhat, an ancient Egyptian overseer of the buildings in the royal palace.